I feel as if I will be able to directly influence the elections through prayer. 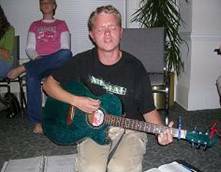 In June of 2002 I began to sense a calling to the full-time ministry of prayer during the Fire in the Night internship at the International House of Prayer in Kansas City (IHOP-KC). One night I felt the Lord tell me to, first, finish my Associates Degree in Music at Angelina College and then spend at least two years at IHOP-KC on the Night Watch. It stands apart as one of the clearest times I have heard the voice of the Lord. So, upon finishing my degree this year at Angelina College I moved to Kansas City and started praying full-time on the Nightwatch at IHOP-KC. Back in February, while finishing my degree at Angelina College and developing a support team, I called my sister, Kristen. During our conversation I told her, “I am so excited about what God is calling me into! This election I am not only going to get to vote but for the first time I feel as if I will be able to directly influence the elections through prayer.” Little did I know the extent of truth that statement would carry as I began the most intense journey of my life to date. I was in the prayer room at IHOP praying for Kansas City in our 4-6 am intercession meeting. I briefly checked my e-mail. I noticed an e-mail from Lou Engle. Lou has led seven of The Call prayer events all over our nation rallying around a million people to pray for our government. In the first Call in 2000 over 400,000 people came and prayed on the National Mall in Washington, DC. This e-mail from Lou trumpeted a call to pray for the elections. 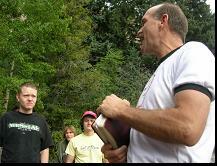 He was calling 120 young Nazirites to come to Colorado Springs to pray and fast for 50 days. I began to ask God whether He was calling me to go on a short-term ministry trip to pray in a focused way for our nation. After much prayer I decided to go for it! Upon arriving at the warehouse African-American church I saw in the same shopping center across from the church a Planned Parenthood. What a showdown! 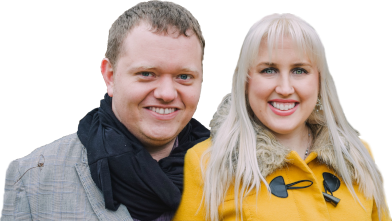 By June 10th, our first day of 50 days of 24/7 prayer for the 50 sates, exactly 50 people had come to pray! I knew then it really was the Lord who had called me! 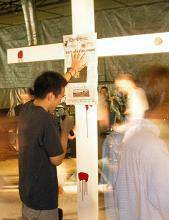 I joined the Night Watch and lead worship for over four hours the first night. It was wonderful to get to lead this passionate group of intercessors into the presence of the Lord were intercession can rightly come forth. As more people came in I began to lead a team of singers and musicians six days a week. I grew a lot in my understanding of what it meant to lead and saw my decisions affect my small team. I would realize the importance of this in the next few months! The Lord had spoken to us that we would see answers to our prayers on the front page of the newspaper. One night the intercession was full of energy and extremely unified. Someone had a shofar and began to blow it and said they felt like the Lord was saying as they blew it our troops in Afghanistan were on the capturing some people in Al-Qaeda. The next morning we discovered that indeed our troops had captured two members of the Al-Qaeda that very night! God slowly began to focus our arrow of prayer on abortion. 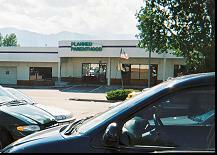 One night at 3 am the Night Watch went to a Planned Parenthood abortion clinic. Upon arriving, to our horror, we saw a dumpster to the side of the building with a heavy lock on it. We realized this could be the very place were the bodies of the burned, battered, and punctured babies lied. We prayed with a renewed fervency that God would reveal Himself and that abortion would end in that place. They saw thousands outside of the Supreme Court praying for the unborn. One night one of our crew had a dream in which they saw thousands of people outside of the Supreme Court praying for the unborn children to be delivered. Over their mouths was red tape with the word “LIFE” on it. Later on another member had a dream in which God spoke to him 201, 301 you are moving to Washington. Baffled by the dreams we pocketed them hoping they would make sense later. While one of our leaders was driving from Kansas City to Colorado Springs a massive tornado touched down behind his car and followed him along the freeway! He fled for his life down Interstate 70. Two days later, he had a dream in which two huge tornadoes were pursuing him with the letters “h” and “a” on both tornadoes. He understood the tornadoes with the “ha-ha” on them were two mocking spirits unleashed against the Church. He knew the “h” stood for homosexuality and the “a” for abortion. When our leaders discussed the experience and dream further they felt our mandate was not completed and that we were to go down Interstate 70 on our way to Washington, DC calling churches to vote righteously and to pray. On Sunday, October 3rd we met late at night to discuss our next day. We had gotten a leak from the National Organization for Women saying they were planning a press conference in front of the Supreme Court the next day at 12 noon. We got there first and began praying. As the NOW people began to gather we felt that it was time to do the dream! 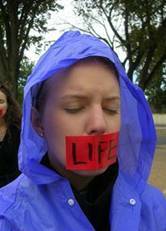 We put red tape over our mouths with the word “LIFE” on it and prayed silently as the members of NOW yelled and screamed for the cameras. We continued in silence day after day from 12-5 pm for 31 days for the 31 years that abortion has been in our nation. Lou began praying over us that God would raise up songwriters that would end abortion with their songs. While I was standing outside of the Supreme Court praying suddenly I began to hear a new song. I couldn’t sing it because there was tape over my mouth! I heard it all so clearly and wrote it down on a pad of paper. “Can you hear the sound of Heaven? / It’s breaking into the earth / It’s falling down like rain / Their voice will be heard in their silence.” I finished the song in a couple of weeks including in it Psalm 18:4-5 & 16-19 from the perspective of the unborn. 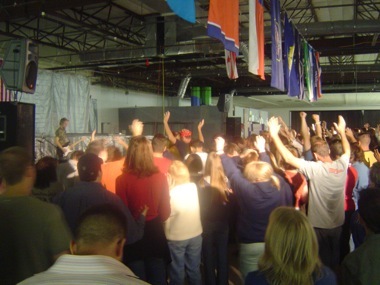 Two weeks later we felt like God was calling us to pray 24/7 again for the last 21 days before the elections. After looking for a place to pray, God opened a miraculous door for us. A businessman in the DC area had just believed in Jesus eight months before we got there. He offered us a building on the corner of 301 2 St. and 201 Pennsylvania Ave, the very numbers that our team member had dreamed about! 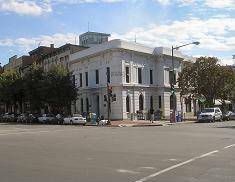 The building points like an arrow at the Supreme Court, the Capitol Building, and the White House. I was asked to lead the Night Watch praying from 12 to 5 am every night. I saw that God had been preparing me in Colorado for this very hour! From October 18th through the 22nd the Night Watch was asked to pray in a small tent on the National Mall in preparation for the America for Jesus Rally. On this first night, we were gripped with a burden to pray against the filibuster which has been keeping pro-life judges out of the Supreme Court. We began to declare while facing the capitol, “Tom Daschle will not sit in that capitol building, Thune will!” On Election Day we rejoiced as we saw that John Thune had indeed been elected over Tom Daschle who had been such a leader in the filibustering of pro-LIFE judges. I feel like God is calling me to remain on the Night Watch in Kansas City for a couple of years. I have had many open doors to continue to pray for the government here. The battle for the babies is far from over! I feel like I am to cultivate intimacy with Jesus and develop a heart of prayer. I am excited to continue to walk on this journey of intercession.